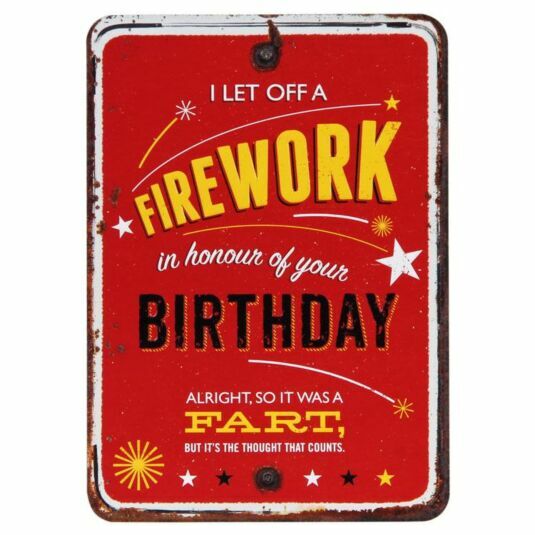 Wish family or friends a happy birthday with this hilariously quirky card, part of the Grin and Tonic range from Brainbox Candy. This eccentric card is designed to look like a road sign, featuring yellow, cream and black vintage stylised typography on a striking red background with rusting edges. The typography is surrounded by streaking stars of various shapes and sizes. The card includes a yellow envelope for postage.